MEET THE CAST OF BAND GEEK! As our REVENGE OF A BAND GEEK GONE BAD narrator, Melinda, tries to survive her sophomore year of high school, she encounters many interesting and quirky people. Here’s a helpful guide to keeping track of those important characters in Mel’s world. with her BFF, Lana, and of course, spend time with her crush, Josh. JOSH: Handsome Josh is a junior and musical prodigy on the trumpet. However, he loves to cause trouble almost as much as he loves music. His favorite victim is the grumpy wind ensemble conductor, Mr. Francis, though Josh teams up with Mel to take down Melinda’s flute-playing nemesis, Kathy. As Mel gets to know Josh, she realizes that there’s more to this mischief-maker than meets the eye. When he’s not pulling pranks, Josh enjoys listening to classic rock and playing trumpet with a local jazz quartet. LANA: Lana and Melinda have been best friends since kindergarten. Though bubbly, popular Lana is Mel’s opposite, she’s loyal to her pal and encourages Melinda to get out of her shell. over Mel. Kathy is genuinely talented, but is still very insecure despite having good looks and musical ability. KEN: Ken is star quarterback, first-chair trumpet, Josh’s friend… and Kathy’s crush. However, Ken doesn’t seem to be interested in Kathy, which infuriates her. LENNY: Josh’s wacky best friend attends a neighboring school, but assists with some of Josh’s schemes. At first, Lenny’s quirkiness makes him hard to understand, but beneath the eccentric exterior lies a heart of gold. MR. FRANCIS: The acerbic conductor is almost always in a bad mood, especially when Josh starts in with him. Francis isn’t shy about insulting the students – and breaking batons to make his point – but gets results and can even be encouraging at times. TAMARA: Kathy’s No. 1 minion is the “muscle” behind Kathy’s bullying of Melinda. CLARA: Kathy’s No. 2 minion is a wannabe who does whatever Kathy and Tamara tell her to do. RYAN: Chubby, weasel-like Ryan is another classmate who gives Mel a difficult time. MAYA: A fellow flute player, Maya reaches out to Mel and they eventually become friends. JAN: Jan is part of the popular crowd and enjoys hosting parties in her family’s mansion. 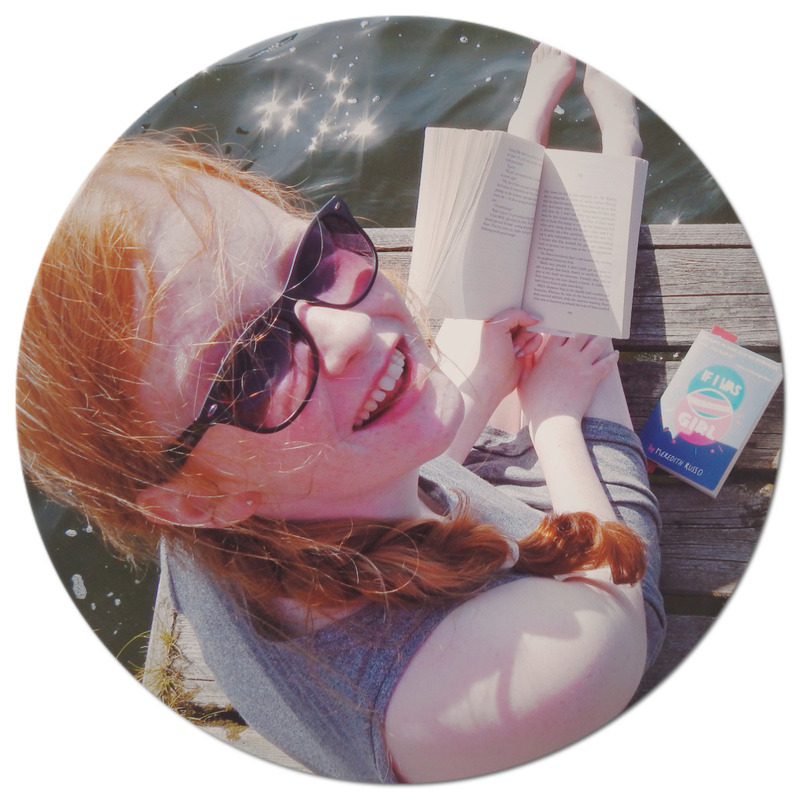 LYDIA: Mel’s mom is a professional violinist and takes care of her ailing father. She’s always bugging Mel to lose weight and make more friends. HANK: Mel’s father has a prominent job in the local hospital and isn’t around much. GRANDPA: Melinda has a close relationship with her grandfather, who’s ill and in a nursing home. LILY: Josh’s laid-back, welcoming mom is also a musician and is the exact opposite of Melinda’s tightly-wound mother. CHAZ: Lenny and Josh’s friend is never actually “seen” in the book, but is often mentioned as being a part of their past adventures. PRINCIPAL MULLER: Josh gives the head of his school almost as much of a hard time as he gives Mr. Francis. Even when writing fiction, most authors will use real-life people, places and incidents for inspiration. Here are 10 things in BAND GEEK, which were taken from my life. Keep an eye out as you read! 1. Melinda’s home town, Sequoia, is based on Lake Ronkonkoma, NY, which is where I grew up. I’ve lived in NYC for the past 15 years, but will always be a Long Island gal at heart! 3. Mel’s best friend, Lana, is based on my lifelong friend, Lani. Lani lived across the street from me, just as Lana lives across the street from Melinda. 4. Melinda’s name comes from my parents: my dad is Mel and my mother’s middle name is Linda. 5. Among the flute pieces Mel plays are the Hindemith Sonata and the Poulenc Sonata. These are actual flute pieces, which I played in music competitions. Speaking of which – and this is really two facts in one – I’ve played flute since I was 9. 6. When we first meet Josh, Mel lists some pranks he pulled at school. All of these are pranks that my husband, Jon, actually pulled when he was a teen. Like Josh, Jon also aced his SATs. 7. In band, I really did have a nemesis in the flute section. She never bullied me the way Kathy does with Mel, but she did tell me to my face that she hated me. 9. Lenny is NOT based on a real person… but he was inspired somewhat by Spicoli, Sean Penn’s character from the ‘80s movie Fast Times At Ridgemont High. If you haven’t yet seen this flick, do it now! 10. When Josh and Mel head to NYC, they dine at an Indian restaurant. I specifically had them eat at an Indian place because Jon proposed to me at an Indian restaurant in 1999. The restaurant unfortunately no longer exists, but in my mind, this is where Josh and Mel have their meal. 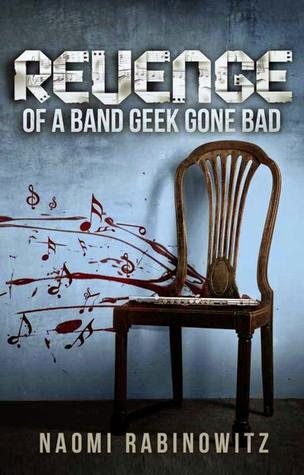 Love, revenge, betrayal and redemption are all important themes in my novel, REVENGE OF A BAND GEEK GONE BAD, but music also holds a very prominent place in the story. Here is a list of the artists and songs mentioned in the book – so turn up the volume and play along! HINDEMITH FLUTE SONATA (Paul Hindemith): This modern-sounding flute piece is played by Melinda at a concert. In real life, I played this sonata in a music competition. POULENC FLUTE SONATA (Francis Poulenc): This is another classical piece, which Mel performs – and another sonata which I used for competition. IMAGE (Eugene Bozza): Mel’s flute-playing nemesis, Kathy, attempts to play this highly difficult piece. Let me tell you, it’s TOUGH, so props to Kathy! ARPEGGIONE SONATA (Franz Schubert): Mel’s flute-playing friend, Maya, performs this in a recital. SWEENEY TODD: THE DEMON BARBER OF FLEET STREET: This dark and twisted Stephen Sondheim musical tells the story of a vengeful and murderous barber – and is one of my favorites! The opening theme, “The Ballad Of Sweeney Todd,” is one of the songs played in Mel’s band’s fictional medley, Broadway For The Band. LES MISERABLES: The beautiful ballad, “On My Own” from this musical is also included in Broadway For The Band. ANNIE: Broadway For The Band also includes “Tomorrow” from this famous musical about an orphan. FUR ELISE (LUDWIG VAN BEETHOVEN): Josh’s doorbell plays this classic Beethoven piece. Hi. thank you SO MUCH for hosting my book. Just an FYI -- the title is Revenge Of A BAND GEEK Gone Bad. Thanks!!!!! Flute playing I see :P I have been searching for books with classical music instruments/elements after reading If I Stay by Gayle Forman. This sounds interesting! Thanks for sharing!